Having been a photographer for decades I’ve seen cameras change, and the weight of a hefty DSLR isn’t pleasant and I’ve been looking to go mirrorless for a while. If you’re in a hurry, check out my favorite Full Frame Mirrorless Camera at Amazon. I’ve seen a lot of articles on how Sony is now one of the better names to look at which is what led me to the AR7 II. While it’s a couple of years since it was released it’s still the best full frame mirrorless body out there and well worth the money considering what my D4 cost! I love the fact that it has the 5 axis stabilization. The 5 axis is a smart feature, because it adds a tilt feature much like a gyroscope so that all your lenses basically get image stabilization even if they’re decades old. It helps with hand holding when the exposure gets close to that point when you might need a tripod and allows you to hold just that fraction longer to still get a sharp picture. I really appreciate this being included in the body because it will work for any lens. It’s innovative and the first of its kind which allows for tilting in any direction. The ISO setting goes up to 25,600 and has impressive noise control with a full range of customization settings. There is also a wireless capability so you can instantly sync pictures to your phone, tablet or computer for instant editing. The sensor itself is a Bionz X Full Frame with a hybrid autofocus that offers 117 points of phase detection and 25 detection points. This makes it lightning fast – approximately 30% faster than the original A7. You can also record 1080 videos at a rate of 50MBPs. The hot shoe interface is compatible with a variety of speedlights but also microphone kits too which means this will work for videography as well. One of the innovative things I found was that the viewfinder is actually a screen, since there’s no mirror it works different than a traditional camera. The LCD on the back of the camera is 3” and tilts up 107 degrees and down 41 degrees so that you can still frame your shots even if you can’t see through the viewfinder. This means that when you have a difficult angled shot you can hold the camera, tilt the screen and still be able to see where you’re framing via the LCD even if the body isn’t straight on. The screen is 2.36 Mpx and has a.71x magnification with a 640×480 RGBW resolution. It has a unique 5 axis image stabilization technology built into the body which will work on all lenses, though on some older lenses this may be dropped to 3 axis. The body has an E mount system that works for FE, E and A mount compatible lenses with an adapter. The autofocus is a hybrid design with 117 phase detection points and 25 contrast detection points. It has a 24.3MP CMOS Full Frame Bionz Sensor. The NFC and WIFI are both Apple and Android compatible as well as for Windows. The body is made of a magnesium alloy front panel. The shutter is on the grip at the front of the body. It can shoot 1080 video at 50MBPs. The camera has a maximum ISO of 25,600 and has noise reduction/compensation technology built in. Click here to check out this Sony AR7 II at Amazon. The image stabilization works better than perfect. The 5 axis design really is innovative and because it’s built into the body it works for all lenses. This is perfect because it has maximum compatibility even for telephoto lenses and lenses that were made before things like image stabilization were created. The body can compensate for older lenses so you’ll still get 3 axis stabilization. This feature also works for video so your videos will be clearer and less shaky without needing an extra grip. The menu can be quite complicated, even when comparing to other brands. It’s not thought out well or put together well. This is something that would eventually become familiar over time though. The sensor is good but it could be better, however as a whole the design is otherwise flawless. I’ve been a photographer over a decade and I have experience with many different cameras. From what I’ve seen with the A7II I’m happy to recommend it as the best full frame mirrorless around at the moment. This is a great camera body for professionals or even for hobbyists who are above amateur level. It’s ideal for someone who doesn’t want to have to heft a big DSLR anymore and wants more than a point and shoot, and more features than a basic DSLR. This is also perfect if you’ve already got Sony lenses though you can also use adapters if you have other full frame compatible lenses. 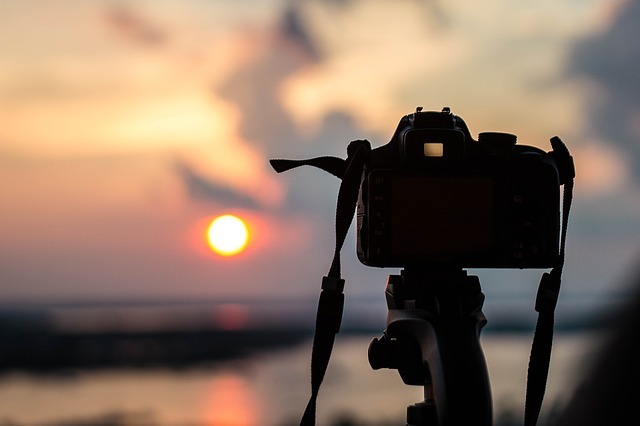 The image stabilization is also perfect for nature photographers and for those who want to be able to hand hold just a fraction longer but may not have the hand strength for a heavier camera. This isn’t a cheap camera, it’s also not the most rugged so it’s not for action photographers or someone who wants something disposable. This would not be good for someone who is rough with their equipment as it seems quite flimsy. The video capability is not excellent which means that if you want high end video, like 4k, this isn’t enough. The 12MP version of this camera is much less money and does not have video but has many of the same features with the same sensor. The AR7 II has an older sensor but it has full functionality and a lot of good software onboard. The body is clean lined and well organized. The real star has to be the 5 axis stabilization and the fact that it works for any lens that is compatible with the body is pretty great. Check out the Sony AR7 II at Amazon. There’s no excuse not to have your pantry stocked with emergency food, and it’s easier than you think. Whether you’re a whittling pro or newbie, you need a good knife. Check out my recommendation for the best whittling knife. There’s nothing better than sleeping next to mother nature, but there’s no need to be uncomfortable! Check out my review of the best cot for a good nights sleep.